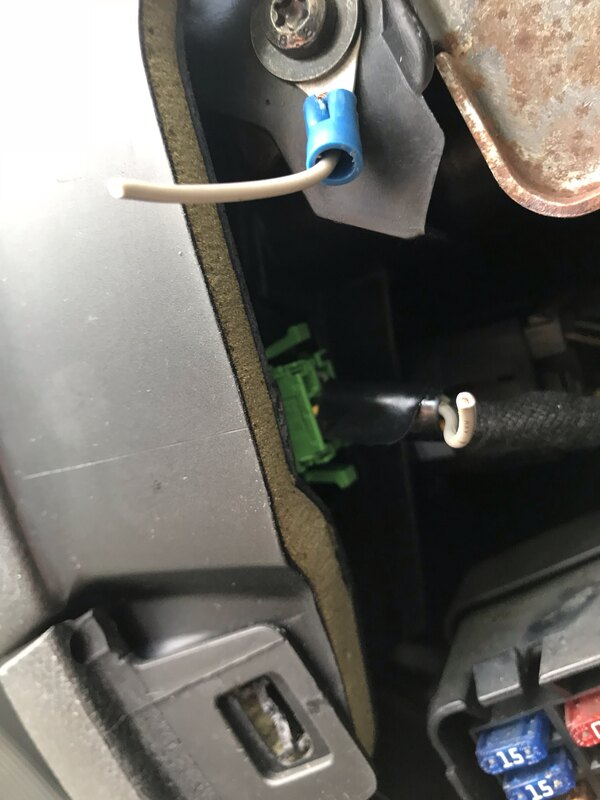 I just bought a 1999 mk4 golf gti 1.8t, and I was looking round and I found a wire that was cut it was connected to the gauge cluster light dimmer and i dont know why it has been cut the dimmer still works anyone know any reason why it would be cut? Do you mean it's still working with the wire cut, or am I misunderstanding you? As you probably realise, that white wire is an earth connection and it looks to me like it's been added to cure a problem that the previous owner may have been having with the dimmer. Another possibility is that he/she might have been using the plug on the back of the dimmer to steal power for another device or light and needed a decent earth...I've done that in the past. Usual spot installating for a boost gauge.